Choosing a simple blogging platform may not be that hard. If you are not interested in building complex web projects, there are great tools that will let you blog without having to worry about technicalities. In that case, we suggest that you take a look at differences between WordPress and WordPress.com and also see if you should go for WordPress or Blogger. When it comes to managing a site that’s more than a simple blog, which platform should you choose? Drupal is a free open source CMS that allows everyone to build websites and other complex web projects. With the CMS, you can create blogs, personal or business sites, forums, online stores, intranets and even social networking sites. Although it can be used both by beginners and professional, Drupal is more suitable for experienced users who know a thing or two about web technologies and coding. As you can imagine, building a social networking site from scratch can’t be categorized as easy. Drupal supports content management, collaborative authoring, podcasts, image galleries, p2p networking, and much more. It allows easy extensions in the form of modules, but although everything sounds very similar to WordPress, there are still crucial differences that will help you choose one over the other. Although the following video shows older versions of WordPress and Drupal, the basic features haven’t changed that much. Because of that, the comparison is valid for the new versions of the two CMS as well. Before you can start building a website with WordPress or Drupal, you have to install the CMS of your choice. Although both feature quick installation, there are some differences that you should know about. WordPress.org is famous for its five-minute installation process. Since most of the web hosting companies already offer installation scripts, users just have to open them and follow on-screen instructions. Depending on a script, users may completely avoid setting up databases and other things that might be confusing to beginners. If you decide to install WordPress manually, it will take a few more extra steps, but the process will still be quick to complete. Just like WordPress, the installation is pretty much straightforward. Users just have to download the latest version from the official site and follow the installation guide. It takes a few minutes more to install Drupal, but you shouldn’t have problems during the process. The interesting part about the installation is that Drupal offers special installation packages. So, in case you already know what type of site you are going for, you can automatically install particular modules with Drupal. Do you want a simple or complex content management system? It probably depends on what do you want to achieve with your website, but it’s just natural that everyone wants a simple system that can still get you what you want. How do WordPress and Drupal play in this field? WordPress is beginner-friendly and easy to understand. Even if you’re a complete newbie, you will still be able to install a site on your own and publish posts without problems. Just by investigating user interfaces, going through menus and options, you will be able to modify the look & feel of your new website. Once you decide to do more with your blog, you will have to learn new things about WordPress. But with so many online resources it won’t take much until you start using the platform like a pro. Drupal is not suitable for beginners. The CMS is complex at it will require at least some basic skills in HTML, CSS, and PHP just in order to manage the site. If you decide to develop more sophisticated websites, better prepare your programming guides as you will not get everything with a visual editor (like some other platforms offer). 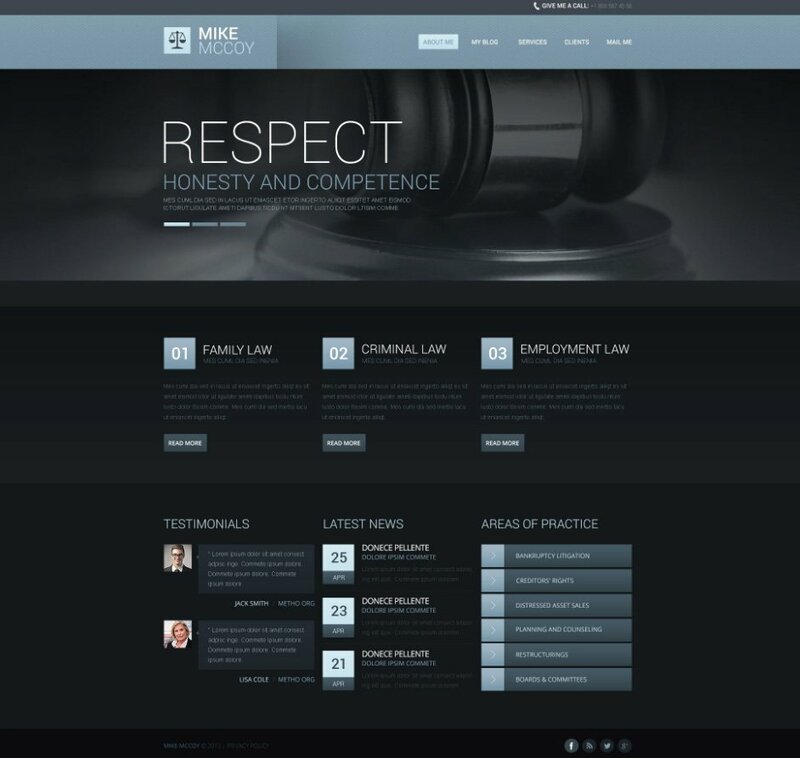 If you are not a professional web designer, you will need a theme for the website. Also, if you are not a programmer, you will want plugins and modules that will add features to the site. Both WordPress and Drupal allow you to install templates and extensions, but they do it differently. The popular CMS offers thousands of WordPress themes and plugins that help users extend their regular website. Without any technical knowledge, everyone gets to add and modify features of their personal blogs. Since there are so many available extensions, it is possible to find practically anything that you need for your site. There are even thousands more premium items which are usually coded better and come with professional support. So, with WordPress, you really can’t say you are missing something. Although not as nearly as popular as WordPress, it surprises that Drupal features such a huge number of available extensions. Unlike WordPress, you will have to leave the system and manually search for the module before you can install them. Although not a problem for someone who’s good with computers, beginners might get scared away by the entire process. On average, Drupal’s modules aren’t as good as the WordPress counterparts, and you will usually have to pay for the right ones. The same goes for the themes. For better themes, you will have to hire professional designers. If you want to start a blog, it will be important that the CMS of your choice supports blogging. 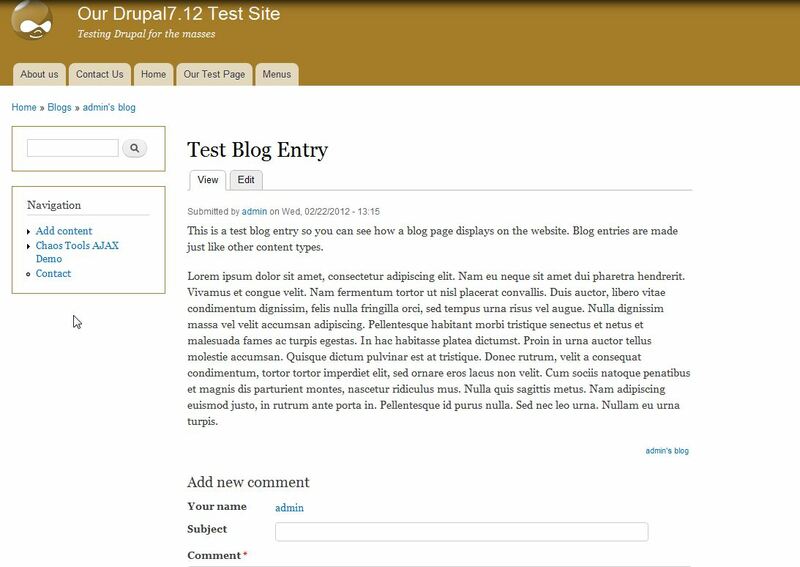 Of course, all of the systems now allow you to add a personal blog, but how good WordPress and Drupal are for blogging? As you might have heard already, WordPress is the ultimate blogging platform. And if you ask us, that’s true. There’s nothing you can’t do about your blog with WordPress, and the great part is that you don’t have to prepare anything or mess with the code. After installing WordPress, you can have your first post published in a matter of minutes. While the Visual editor will let you enjoy writing and media management, the Text editor will help you include the HTML and CSS code if needed. The entire content management area is user-friendly, and you will have no problems operating the blog even if you’re a newbie. On the other hand, Drupal isn’t specifically made for blogging. That’s why you will have to enable the module before you can even start writing the first post. Although you get to use the text editor to write the content and insert media files, it just doesn’t feel as good as the WordPress counterpart. From the first time you open the blogging module, it will be evident that blogging is just a part of the system, and not something it has been built for. Since you’re looking for something more than just a blogging platform, it is vital that you have good support for it. Obviously, the complexity of your website might get you in trouble. So, what kind of help can you expect with WordPress and Drupal? WordPress has a massive online community that is always ready to help. Once you start building a site, we suggest joining official forums and support groups. There are also numberless online resources, tutorials, video guides and podcasts that will teach you everything about WordPress. 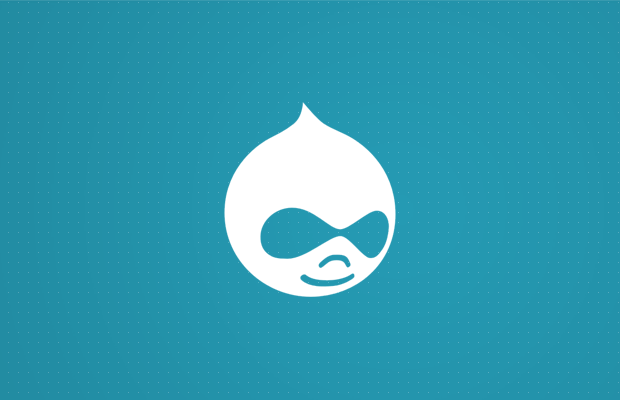 Just like WordPress and Joomla, Drupal has an active online community. So you can expect comprehensive documentation, support forums, user groups, chat rooms, and other resources. All of them will help you solve problems for free. Drupal is well known for its Marketplace that tries to connect users to developers. This is a great way of finding professional help. Unfortunately, hiring professionals will probably cost you more than hiring someone for a WordPress-related job. No one wants a non-secure system. Just like you wouldn’t settle for having a house without the lock on the doors, you should not use a web building platform that is not safe enough. Luckily, whether you decide to go for WordPress or Drupal, you will end up having fortified systems that will keep intruders away in most of the cases. It is hard to keep a platform safe when there are hundreds of millions of active users and website built with it. WordPress sites are usually among the first targets for hackers and malicious scripts, and there are bad guys looking for security holes in WordPress on a daily basis. Just because of that, the good guys (WordPress developers) work non-stop to fix problems. They do everything in their power to keep the system safe, and they are doing a great job. To help out the hard working developers, you can install 3rd party plugins that will make your site even more secure. There are hundreds of plugins that will help you strengthen your blog, but you will have to take care of them all the time. In many cases, you will have to pay for a premium plugin if you truly want the best security for your site. For starters, be careful not use one of the worst passwords for your blog. You can’t read about Drupal sites getting hacked, can you? Well, although there are much fewer websites built with Drupal than those powered by WordPress or Joomla for example, the truth is that Drupal emphasizes security. All security issues are regularly posted on the official site, and the developers are hard working on patching up the system at all the times. Demand for multilingual sites keeps on growing. People have realized the power behind websites that run in several different languages, so for many users, the feature is a must-have. How can WordPress and Drupal help you with that? 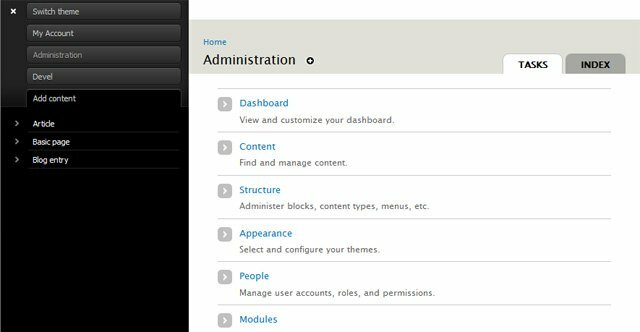 During installation, WordPress will ask you to select a language for the admin area. You can also easily switch the language any time you want. But when it comes to having the content in more than language, you will have to look for third party solutions. Luckily, there are more than a few plugins that let you translate the entire website into hundreds of languages. But if you are really serious about your multilingual sites, you will have to reach in the wallet and pay for premium plugins or services that will help you build the perfect multilingual site. Similarly, Drupal allows you to handle non-English sites without a problem. You will just have to activate the modules that are in charge of languages, and you will be able to translate the site to any language you want. If you are looking for a blogging platform that will allow you to manage your site without much technical knowledge, you should install WordPress. The popular platform will help you build smaller websites, customize them on your own and extend with thousands of amazing themes and plugins. It will be much easier to find help and hire professionals if you decide to go for features you can’t create on your own. On the other hand, Drupal is the perfect choice for more complex websites and other web projects that WordPress simply can’t handle that well. But in order to utilize all that power, you will have to know HTML, CSS, and PHP just in order to manage the site well. If you are interested in building complex websites with Drupal, better be a professional programmer. Both Drupal and WordPress have their strengths and weaknesses, but depending on your goals, the choice should be very easy. Which one did you go for?